Notre Côte de Brouilly Cuvée Première 2017 obtient la meilleure note des 204 échantillons évalués : 17,5+ par Richard Hemming - Master of Wine. Il est également noté 90 par Parker. Notre Brouilly Cuvée Pierreux 2017 obtient la note de 16,5 par Richard Hemming - Master of Wine. Il est également noté 84 par Parker. A family estate with a rich past, the Domaine d’Argenson emerged from the passion of a family dedicated to the love of wine. This inherited terroir is both a pride and a duty: that of sublimating an exceptional domain. The responsibility of successive generations at the head of the estate is that of a constant search for excellence, with the utmost respect for the viticultural tradition of our region. This long-term vision is a commitment to the vineyard, to those who work there, but also to those who taste and appreciate our wines. Domaine d’Argenson enjoys an exceptional location at the foot of Mount Brouilly - a secluded and preserved natural surrounding that gives birth to great wines. 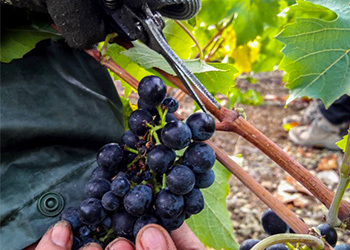 Our winemakers exclusively grow Gamay grapes. Our vines average 51 years. Some of the vines still in use today date back from 1930. 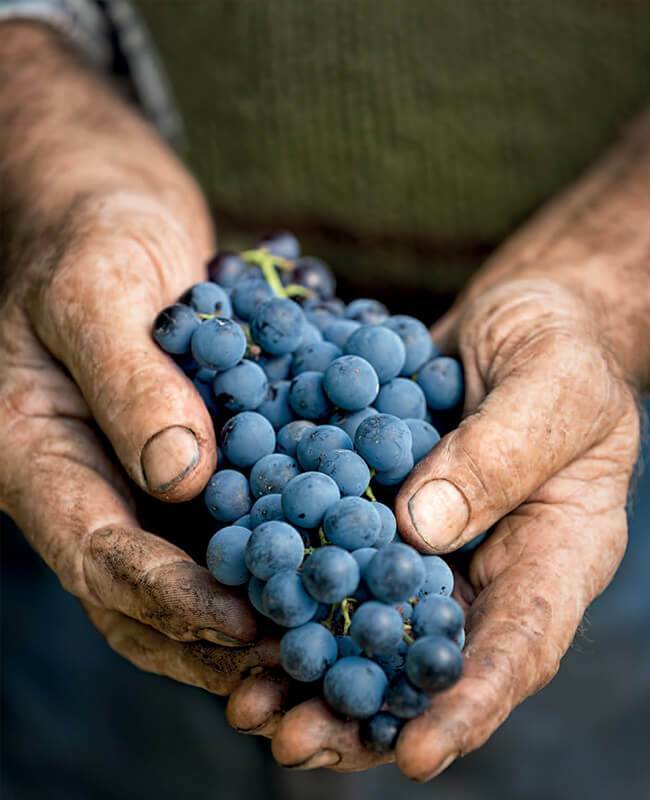 In order to ensure a wine of the highest possible quality, all grapes are handharvested in a traditional manner. From a traditional vinification to breeding the wine, all the choices made are guided by the expectations of excellence, traditional values and respect of our land. In addition to the quality of the estate and its exposure, producing great wines is the result of the work and expertise of the winemaker. Domaine d’Argenson works with a team dedicated to family values, where everyone’s expertise is recognised and respected. The role of the viticulturist and wine maker is to respect the land - the fruit - and - the wine. This consists of understanding the soil and nurturing it. Vine management is thus conducted in a traditional and reasoned way. The oenologist of the Domaine extends this work during the winemaking process, which reveals the unique expression of each wine. He carefully watches over the wine during the aging process, in vats and barrels, in the shadows of cellars. 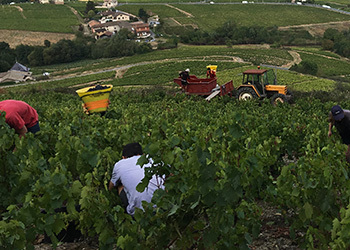 The Domaine d’Argenson produces wines that are carefully crafted, strictly respecting and exceeding all guidelines required to obtain the protected appelation. The unique character of our wines - Brouilly and Côte de Brouilly - comes from the richness of the surrounding granitic and volcanic soils. 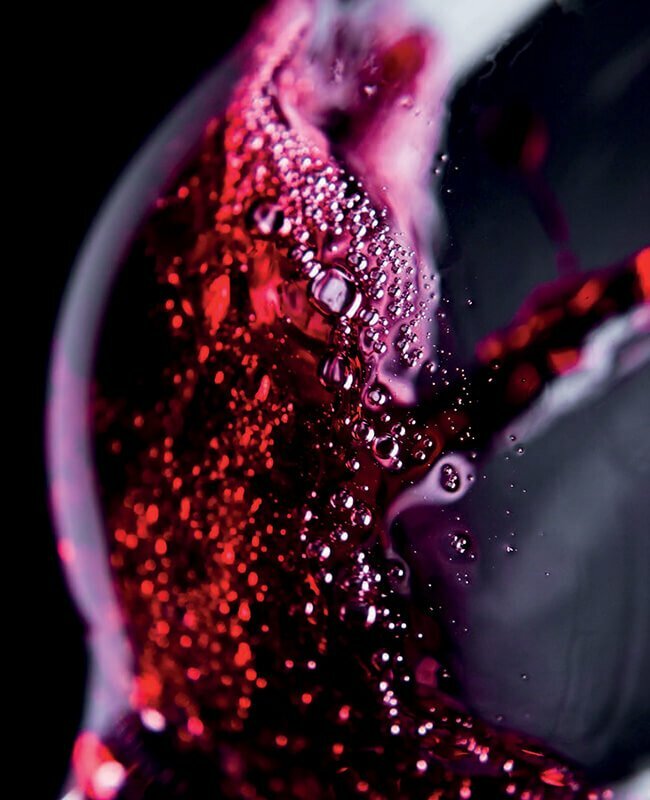 The appearance reveals a, vibrant and beautiful deep ruby colour, accompanied by a scent of red fruits, hints of black fruit with a touch of floral character and sweet spice. Gamay – 50 year old vines. The terroir is marked by the presence of diorite – a mottled blue stone that is the result of ancient volcanic activity. 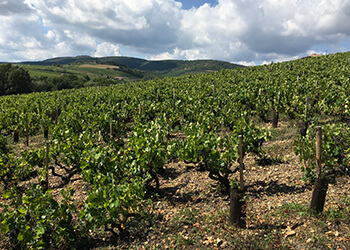 Soil composed of diorite on the slopes of Mont Brouilly tends to be thin and stony with some clay, and offer a well-drained, optimum base for viticulture. Handpickedgrapes. 14 day whole grape semi carbonic maceration in concrete and steel tanks. Light filtration, no fining. Eye : Deep, dark red. Nose : Wild strawberry, bilberry nose. Palate : Ripe fruit flavor : blackcurrant, blackberry, round and warm in the mouth. Frank attack, fruity fullness and final note of spices. Wonderful with fine food, it goes well with entrées such as a traditional chicken liver terrine, meat or poultry such as duck breast, and with goat’s cheese. We select the grapes from our best plots and vinify these in oak barrels. This early integration of wood, before the wine is matured, allows better extraction of colours and aromas. It offers ample wines, showing greater character and complexity. Gamay - 55 year old vines, on slopes of clay, limestone, granite and blue schists. In one villages of Brouilly: Climat Les Pierreux. Handpicked grapes. Low yields of 45hl/hc. 12 day whole grape semi-carbonic maceration in concrete and steel tanks with twice daily pump over of 10 minutes. Light filtration, no fining. Eye : Deep, shiny, dark ruby. Nose : Starting off on the floral side, followed by deeper, ripe fruit aromas including raspberry, blackberry and blackcurrant. Palate : Both fine and fleshy. Beautiful, pure and straight structure, built on soft and round tannins. The finish is long and fresh. Brouilly is an extremely versatile red wine and can be paired with a wide variety of dishes. It’s a great partner to dishes such as beef bourguignon, mushroom-based dishes, and accommodates well Chinese and Japanese food. It can provide an original pairing with Saint Marcelin cheese or risotto. FIRST TASTING, FIRST AWARD : 17.5+ (N°1) at the Beaujolais Tasting in London, awarded by Richard Hemming - Master of Wine. FIRST TASTING, FIRST AWARD : 16.5 at the Beaujolais Tasting in London, awarded by Richard Hemming - Master of Wine. For any questions, you can send us a message by filling the form opposite. To know and exercise your rights, including the withdrawal of your consent to the use of the data collected by this form, please consult our policy of protection of personal data. © Domaine d'Argenson, all rights reserved.